This beautiful cushion is made from a vintage cotton shawl from Borneo. 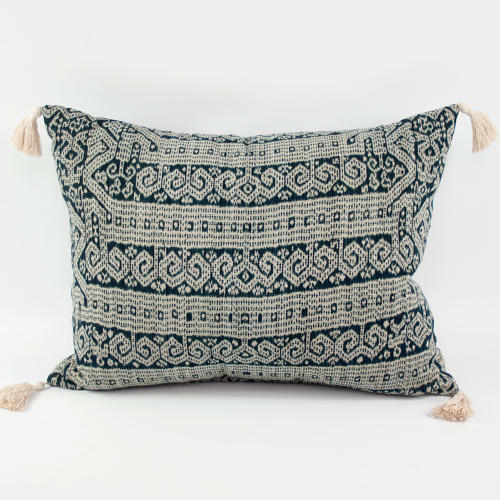 The ikat is woven in dark indigo and white and the textile has been used for the front and back of he cushion. The tassels are natural cotton. There is a zip closure and feather pad.